Jye McNeil reunites with Fifty Stars (r) in the Doncaster but has to contend with the widest draw. The only time Jye McNeil has ridden at Randwick he went agonisingly close to landing his first Group One win. That was in the Metropolitan last spring when Sikandarabad finished a close third to Patrick Erin and Brimham Rocks in the 2400m handicap, beaten a short half-head and a long head in a driving finish. On Saturday the 24-year-old Melbourne-based McNeil will be back at the famous Sydney racetrack for his latest attempt to claim a first Group One win, this time in the Doncaster Mile aboard one of the leading contenders, Fifty Stars. 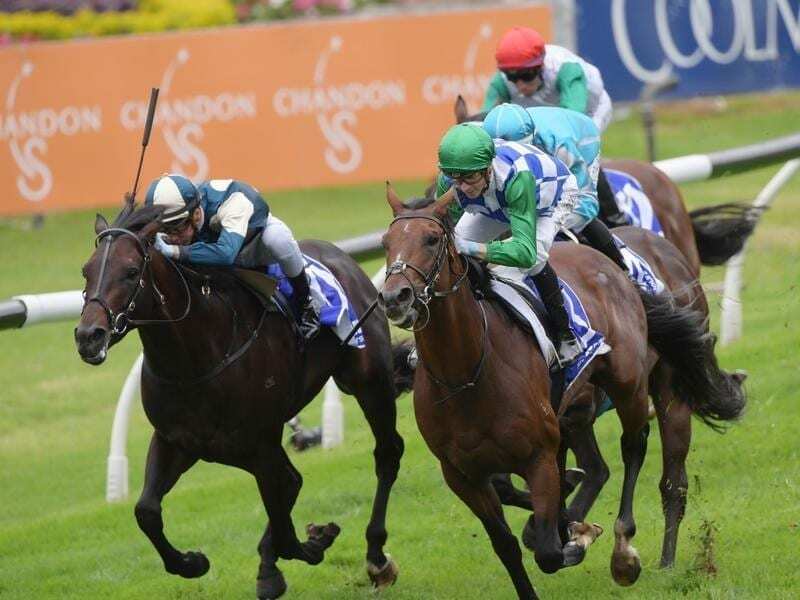 The Lindsay Park-trained Fifty Stars heads into the $3 million handicap off wins in the Group Two Blamey Stakes and Group Two Ajax Stakes at his past two starts and has 50kg. “I actually rode 50 kilos that day,” McNeil said of Sikandarabad’s Metropolitan placing. “It was good that I was able to do that back then because I knew what weight I can ride and how easy I can do it. “So having that experience going into this weekend, I should be even better. “I’ve had 12 rides in the Group Ones and that ride on Sikandarabad was the closest I’ve got. “Hopefully come Saturday I can get the monkey off the back. McNeil notched his first Sydney win from only a handful of attempts when Fifty Stars knuckled down to his task late in the Ajax Stakes (1500m) on a heavy track at Rosehill on March 16 to book his spot in the Doncaster. Winner of eight of his 12 starts, Fifty Stars has the outside barrier to contend with in the capacity field and is one of three chances in the Doncaster for the Lindsay Park stable. He was second favourite at $6.50 on Thursday behind Hawkes Racing’s three-year-old colt Brutal. “He was terrific through the line the other day and I think that Randwick, at this stage, is not going to be as wet as what it was at Rosehill,” McNeil said.